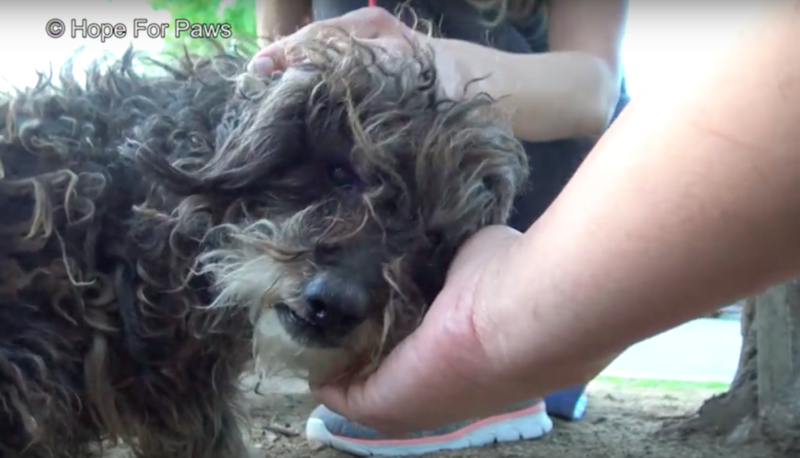 A group of kids found an abandoned dog in their neighborhood and contacted Hope For Paws for help. The kids waited there by the dog until rescuers arrived to make sure the pup was safe. 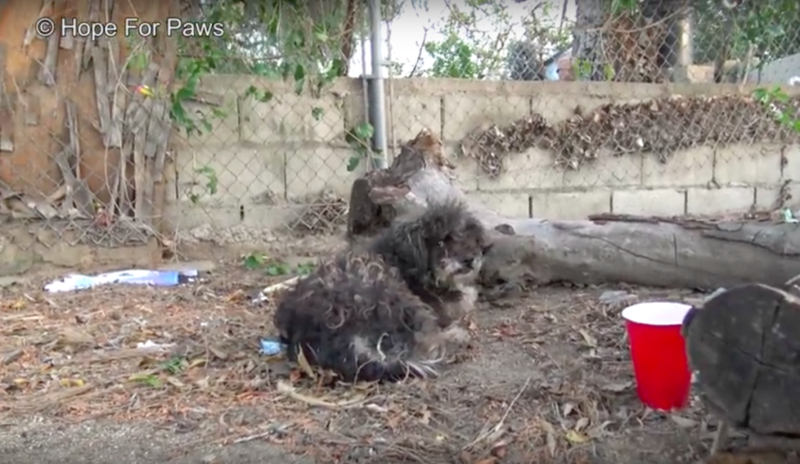 The poor homeless dog was lying in the dirt, matted and malnourished. Rescuers snuck up behind him and threw the leash around him. He was startled and scared, and yelped while trying to get away. Once they started petting him, he quickly calmed down and relaxed. The kids spoke with the rescuers and expressed their gratitude for them coming to save this dog. 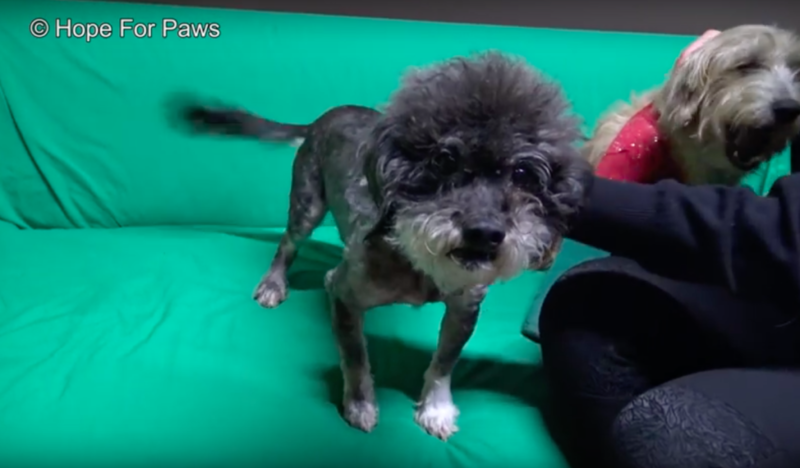 They explained that they had called several places, but they all demanded donations in order for them to take her, and others said she would be euthanized within the next four days anyway. 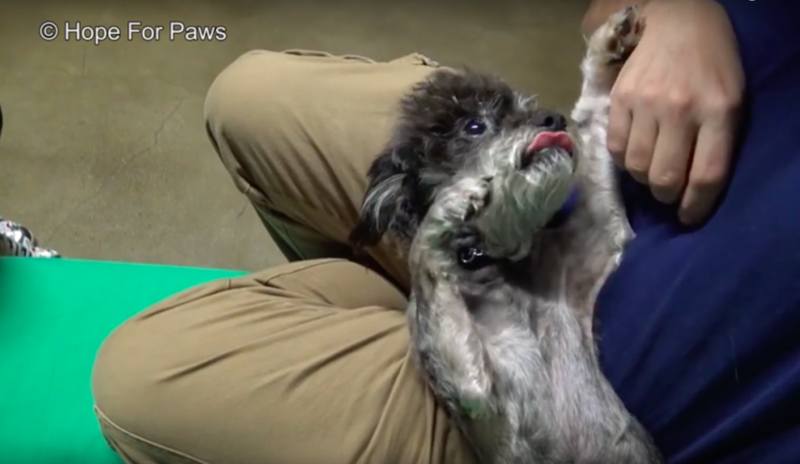 They named this poor little dog “Nobu.” Once they gained his trust, his true personality showed. He was actually a very sweet and friendly pup who hadn’t felt love or gotten attention in so long. 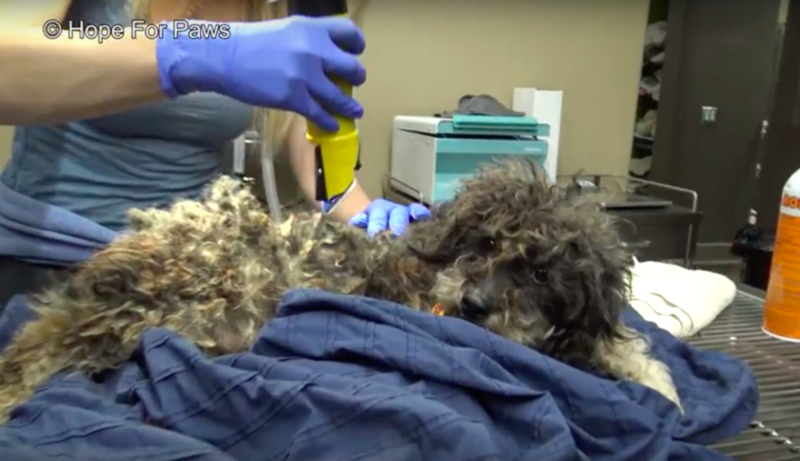 They brought him to the hospital where they discovered that he was covered in hundreds of ticks which took hours to remove. Nobu sat patiently and was very cooperative. Then they shaved off his matts and gave him a much-needed bath. Poor little Nobu seemed very sad, but rescuers made sure to cheer him up. They showered him with love and introduced him to new doggy friends. He also got the first good night’s sleep in a long time. As the days went on, Nobu was feeling much better and was finally happy. He was very playful and loved the new attention. Not long after, Nobu found a loving forever home! He has new doggy siblings who he gets along great with, a bunch of toys to play with, and a whole lot of love!